Sold individually. Miniature high stability fixed value carbon film resistors. This range forms the industry standard and is suitable for general, industrial and consumer applications. 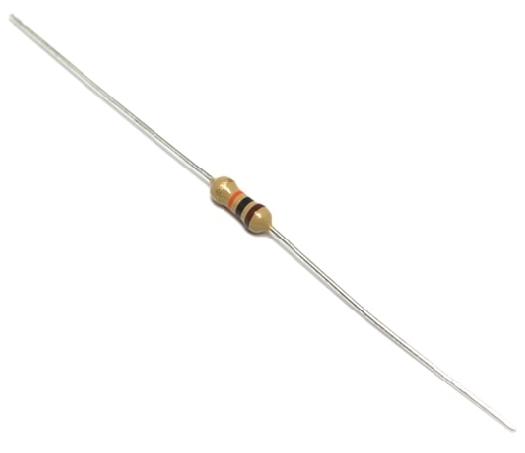 A “Zero” ohm resistor is also included in the range as an alternative to wire links and it can also be used in automated cropping and bending machines. Light brown body, with four band colour code.